Flexible solutions for all rooms. Looking around, one gets the feeling that most people could do with a little more relaxation. Wishing for a sauna is the first step in the right direction. But if you think you don’t have space for a home sauna, think again! 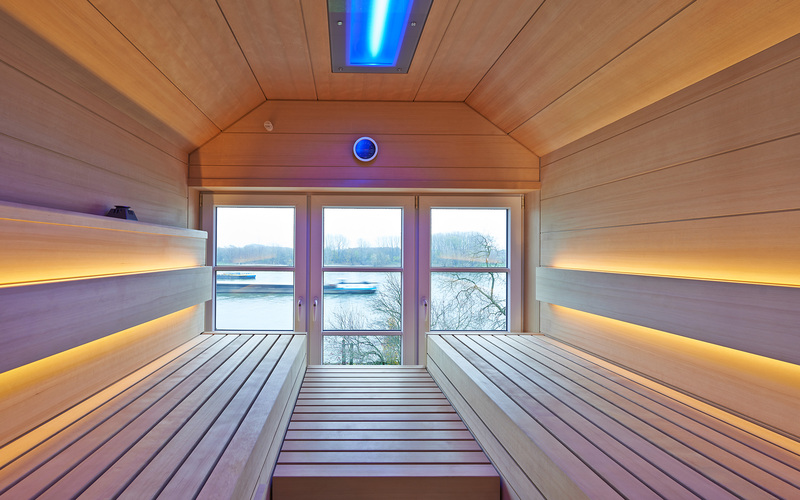 If you want to know what a perfectly designed and made-to-measure sauna might look like, just take a look at our examples. Our experts have been planning saunas for years – so it’s hardly surprising that they’re able to come up with customised answers for challenging and irregularly shaped rooms. Sloping ceilings certainly add charm to a room. They also make it all the more complicated to install a sauna. No matter how complex or challenging the room, how irregular the walls or how many bays and recesses need to be taken into account, we see nothing but a welcome challenge! Our experienced experts are constantly creating unique and out-of-the-ordinary saunas which harmonise perfectly with their environments. Such one-off works of art, installed into even the most challenging of spaces, only serve to make the whole sauna experience even more special. In the beginning, your sauna is no more than a sketch on a piece of paper. In the end, it’s no less than pure satisfaction. Because our trained professionals love nothing more than bringing your dream sauna to life . 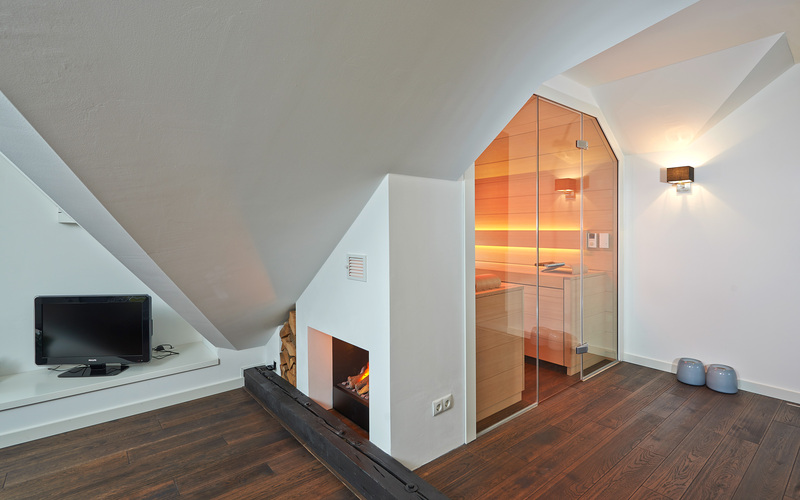 From vaulted cellars to attics – there’s always room for a sauna once you’ve found the right solution. Which you’re sure to find amongst our PREMIUM, LOUNGE, PURE and EMPIRE ranges. But even designer saunas such as the CHARISMA or SHAPE saunas can be adapted to just about any requirements. Meaning you can enjoy the luxury of sauna bathing virtually anywhere. And we can enjoy your satisfied smile. Sauna manufacturer KLAFS can build you a sauna in any room you choose. You’d like to own a sauna, but think you don’t have the room? Allow us to prove you wrong! If you want to know what a perfectly designed and made-to-measure KLAFS sauna might look like, just take a look at our examples. Our experts have been planning saunas for years – so it’s hardly surprising that they’ve come up with answers for challenging and irregularly shaped rooms. Sauna manufacturer KLAFS can even build a sauna under a sloping roof! No matter how complex or challenging the room, how irregular the walls or how many bays and recesses need to be taken into account, we’ll create the perfect made-to-measure solution – so you can have your sauna just where you want it. Our experienced experts are constantly creating unique and out-of-the-ordinary saunas which harmonise perfectly with their environments. Such one-off works of art, installed into even the most challenging of spaces, only serve to make the whole sauna experience even more special.